A fun, playful, energetic story starring two stegosauruses and one stegothesaurus about family—and synonyms!—for the young word lover in your home, residence, or abode! 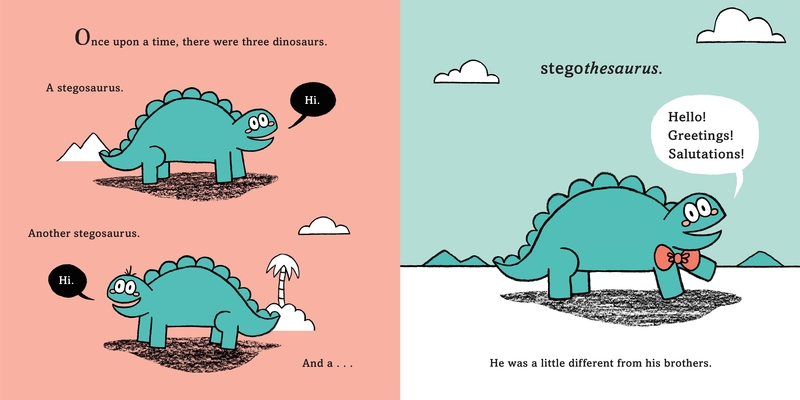 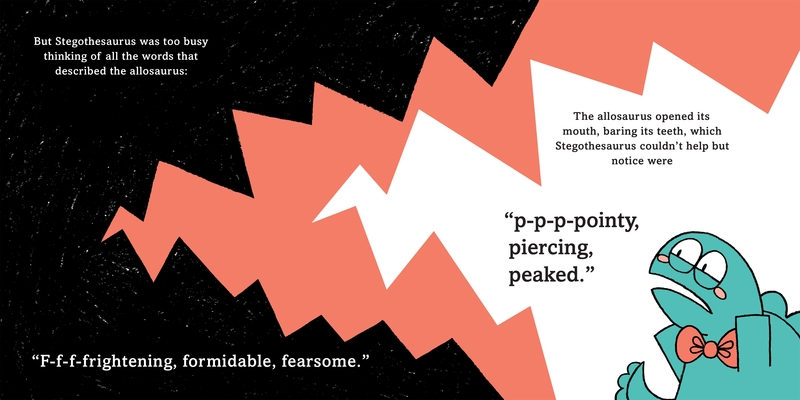 Stegothesaurus’s love of language has always put him at odds with his stegosaurus brothers. 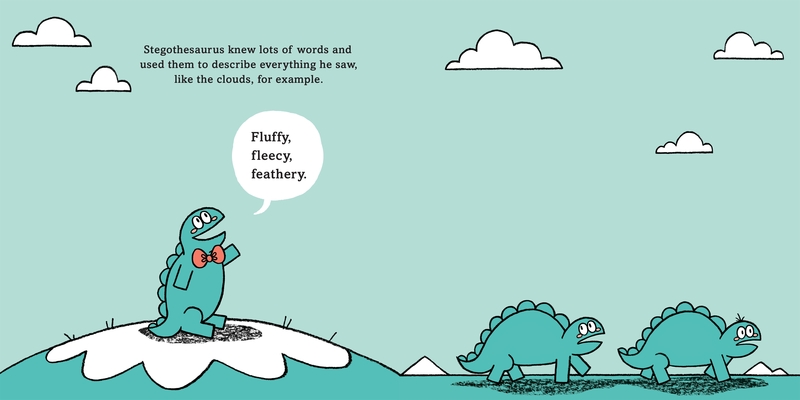 So when he makes a friend—an allothesaurus­—who is just as verbose as he, he is happy, thrilled, and ecstatic! 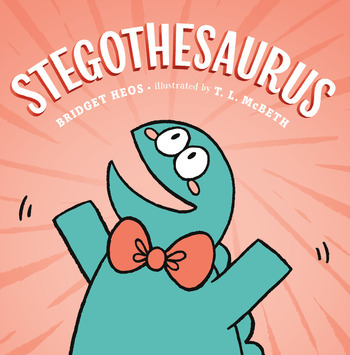 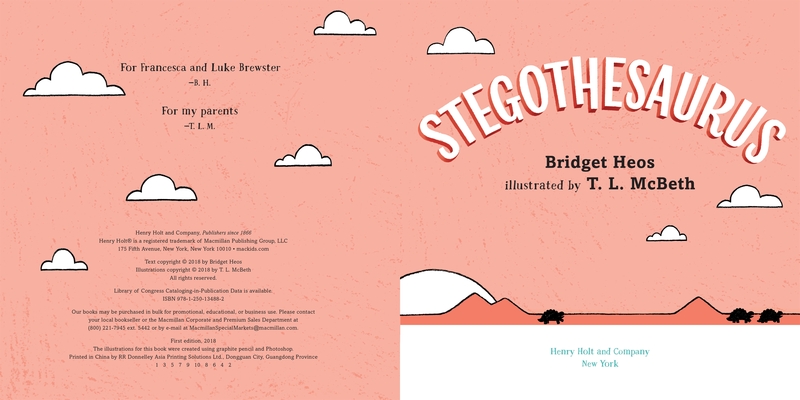 But Stegothesaurus soon learns that the allothesaurus has very different ideas about what constitutes a good meal, and he'll discover there’s one thing that he loves more than words: his family.